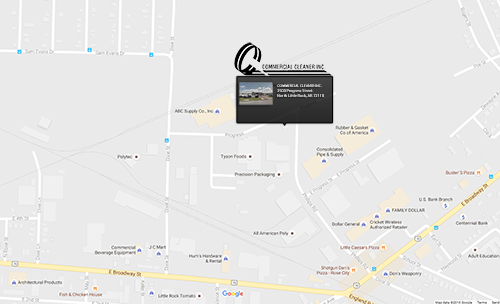 C & C Commercial Cleaner is the oldest and largest pavement maintenance company in Central Arkansas, with 35 years’ experience maintaining parking lots and parking garages around the region. We operate a fleet of 12 parking lot sweeper trucks, and our operators have over 100 years’ combined experience. We take pride in doing a superior job at affordable rates, and our clients benefit by having the cleanest, most attractive parking lots in town! We offer flexible and affordable parking lot maintenance plans that put your parking lot in regular rotation for cleanings at a frequency you choose. Of course, should you ever have a special event or your lot need special attention, just give us a call and we’ll have a truck on the way. In addition to our power sweeping services, we also offer other cleaning and trash removal service as needed, and our trucks are on call 24/7 to ensure that when you need us, we’ll be there. Our trucks are GPS equipped, so we can tell at a glance what properties have been swept, and regular inspections by management gives you the assurance that your lot will be cleaned right. Commercial Cleaner has built up a large base of satisfied customers and we’d like the opportunity to earn your business. We think you’ll notice the difference right away, and your parking lot will certainly benefit. For more information, call Commercial Cleaner today at (501) 945-3219 or contact us online at this link, and we’ll help you put together a maintenance plan to fit your budget!